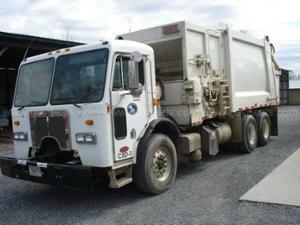 Description:Used 2000 Mack Ch613 for sale - Call with 263,873 miles. 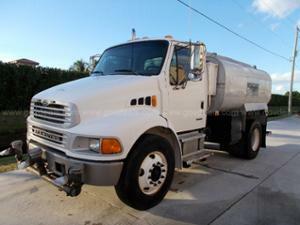 Online Government Auction - Ends 4/24/19 **BID PRICE REFLECTS CURRENT HIGH BID AND IS SUBJECT TO CHANGE AT ANY TIME DURING THE ONGOING AUCTION** 2000 Mack CH613 TRACTOR TRUCK, 12.0L L6 DIESEL. Maxitorque 13 speed Extended Range Splitter Transmission This unit was utilized by the Road & Bridge Department until recently when it was replaced by a new unit. This truck starts, runs, shifts and stops well. It does have an issue with the transmission mount on the passenger side (stripped threads) but has been through-bolted to secure it at this time. All gears on the high and low end work and the splitter works as well. The PTO works ok. It has a 10 yard dump box with a manual tarp system. Gate latches release and bed lifts to full extension. Tires are 11R24.5 The front steers are at least 50% tread remaining and the rear drives are at least 50% tread remaining. The interior is in fair condition, drivers air seat works ok, and the top of the dash shows holes where the County radio was mounted. A/C and heater both work ok. The odometer shows 263,873 miles. The paint is faded on the exterior with nicks, scratches and chips in the paint. GovDeals.com - Bid on Government Auctions to buy Government Surplus. 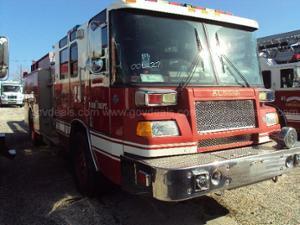 Description:Used 1983 AM General M925a1 for sale - $4,300.00 with 6,858 miles. 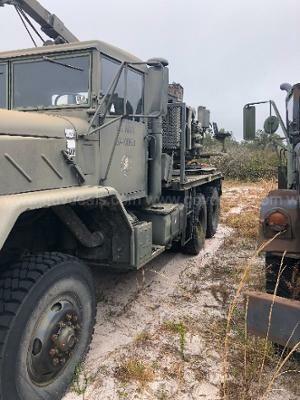 Online Government Auction - Ends 4/29/19 **BID PRICE REFLECTS CURRENT HIGH BID AND IS SUBJECT TO CHANGE AT ANY TIME DURING THE ONGOING AUCTION** 1983 Am General Military M925 A1 with winch Cargo Truck with Auger/Pole platform. Upper unit powered by John Deere Diesel has 18 Ft Kelly bar auger, hydraulic outriggers and 3 different sized auger bits. 8", 12" and 24". Needs a new hose for pole clamp, new seal on extension cylinder and a new seal on right outrigger. Throttle cable to auger engine is also in need of a replacement. **All batteries will be replaced and throttle cable to upper engine. 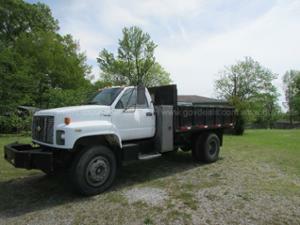 Tires are in great condition, cab is hard top, body in good condition and engine is pristine. Runs great. M925 A1 powered by Naturally Aspirated Cummins 250NHC Diesel engine through Allison 5 speed automatic transmission. GovDeals.com - Bid on Government Auctions to buy Government Surplus. Description:Used 1998 Chevrolet F7b042 for sale - Call with 58,024 miles. Online Government Auction - Ends 4/25/19 **BID PRICE REFLECTS CURRENT HIGH BID AND IS SUBJECT TO CHANGE AT ANY TIME DURING THE ONGOING AUCTION** 1998 Chevrolet F7B042 TILT CAB, 7.2L L6 TURBO DIESEL. 1GBM7C1C0WJ110979 New Way 20SLA Sidewinder SN 2755-2-00 Automated Side Loader Engine CAT 3126 7.2L 250HP (58,024 miles) Allison Transmission 3000RDS-P 12,000 LBS Front Axle 21,000 LBS Rear Axle Hendrickson Rear Spring Beam Suspension All Steel Wheels Front Tires 11R22.5 @40% Rear Tires 11R22.5 Mixed Caps need replacing Air Conditioning blows cold GovDeals.com - Bid on Government Auctions to buy Government Surplus. 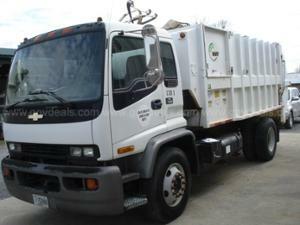 Description:Used 2003 Freightliner Fs65 for sale - Call with 136,027 miles. 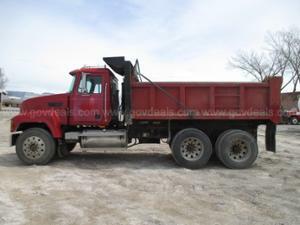 Online Auction for Government Surplus – QAL # 12862-6- Ends 4/30/19 **PRICE REFLECTS CURRENT HIGH BID AND IS SUBJECT TO CHANGE AT ANY TIME DURING THE ONGOING AUCTION** 2003 Freightliner FS65 INCOMPLETE CHASSIS, 5.9L L6 DIESEL. cummins Starts and runs, auto trans (Allison - AT 545), serviced every 30 days, removed from service 1/31/2019, no cracked glass, good tire tread. PLEASE NOTE: Seats show signs of wear. GovDeals.com is the online auction platform where you can bid on and buy government surplus. Description:Used 2008 Peterbilt 320 for sale - Call with 87,210 miles. Online Government Auction - Ends 4/25/19 **BID PRICE REFLECTS CURRENT HIGH BID AND IS SUBJECT TO CHANGE AT ANY TIME DURING THE ONGOING AUCTION** 2008 Peterbilt 320 CAB-OVER-ENGINE, 10.8L L6 DIESEL. 3BPZL00X68F718452 HEIL 26 Yard Automated Side Loader 612-3609 TE7302600 26 Yard 7305 198” Wheelbase 271” Cab/EOF Double Frame Cummins ISM 320HP 1150 Torque (87,211 miles) Allison Automatic Transmission 4500 RDS-P Meritor 40,000 LBS Rear Axle Hendrickson Spring Beam Suspension 4.63 Rear Axle Ratio Dana Spicer 20,000 LBS Front Axle Air Conditioning (Cold) Defrost Fans Front Tires 315/80R 22.5 @50% Aluminum Front Wheels Rear Tires 11R22.5 Mixed Caps 50% Steel Rear Wheels The truck is in great condition. No oil leaks Engine, Transmission and Body Componence all in good working order. Minimal exterior and interior damage. GovDeals.com - Bid on Government Auctions to buy Government Surplus. 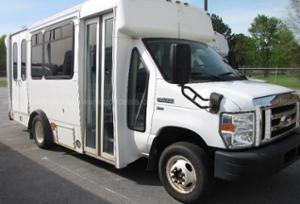 Description:Used 2004 Ford Econoline E450 for sale - Call with 249,092 miles. Online Auction for Government Surplus – QAL # 3354-147 - Ends 4/26/19 **PRICE REFLECTS CURRENT HIGH BID AND IS SUBJECT TO CHANGE AT ANY TIME DURING THE ONGOING AUCTION** 2004 Ford Econoline E450 Bus. 12 passenger. Runs and has been serviced on a regular basis. Maintenance records available. Engine: 6.8L V10 SOHC 20V The vehicle includes: Automatic Transmission Air bags Power Steering Air Conditioning Delay wipers AM/FM Stereo / CD Vinyl seats Lift Gate Vehicle was used by Benton County, Oregon as a Dial a Rid Bus and no longer needed. Possible bad headgasket. Some scratches on the exterior paint. Front light is broken. Main passenger door is not working. Reason unknown. Seat belts have mold on them. GovDeals.com is the online auction platform where you can bid on and buy government surplus. 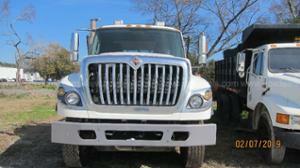 Description:Used 2002 International 4900 for sale - Call with 9,310 miles. 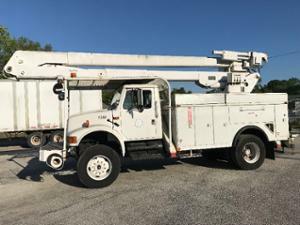 Online Government Auction - Ends 4/24/19 **BID PRICE REFLECTS CURRENT HIGH BID AND IS SUBJECT TO CHANGE AT ANY TIME DURING THE ONGOING AUCTION** Sewer Maintenance "Jet truck" for flushing pipes. A 2002 International 4900 Conventional Cab and chassis. 9,310 miles 2834 engine hours. DT466 7.6L International Diesel engine. Sewer jet equipment attached in enclosed box. 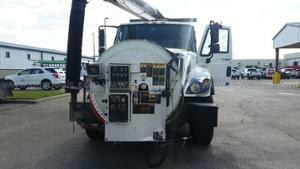 Truck runs good and sewer equipment ran when last used this past fall. Tires in good condition. Decals will be removed prior to transfer to new owner. GovDeals.com - Bid on Government Auctions to buy Government Surplus. 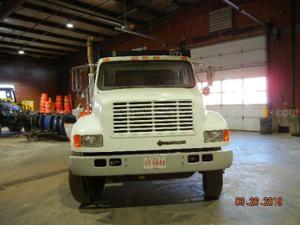 Description:Used 2000 Sterling L8500 for sale - Call with 77,900 miles. 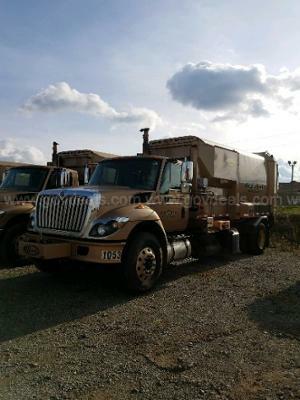 Online Government Auction - Ends 4/18/19 **BID PRICE REFLECTS CURRENT HIGH BID AND IS SUBJECT TO CHANGE AT ANY TIME DURING THE ONGOING AUCTION** 2000 Sterling Water Truck, Standard 5 & 2, CAT Diesel, 77,900 miles, air brakes, cdl required, gvwr 33000lbs, 1000 gal tank, reel on back, suction, spray bar on back and corner sprayers AuctionDeals.com, powered by GovDeals, is the online auction platform where you can bid on and buy commercial inventory. 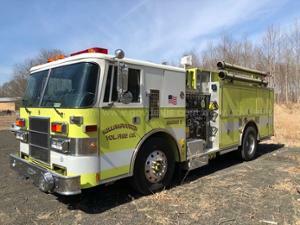 Description:Used 1987 American Eagle Spartan Pumper for sale - Call with 14,974 miles. 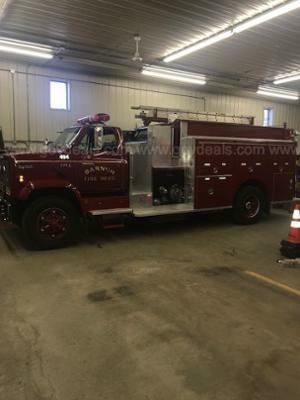 Online Auction for Government Surplus - QAL #12923-2 Ends 4/26/19 1987 American Eagle Spartan Fire Engine Model # MA20-2042 Cummins N14 Engine 400HP Allison Transmission 1000 gal poly tank 1250 GPM Hale pump Very low miles, truck is originally from NY so it does have some rust spots starting to show themselves. Truck has been in AZ since 2012. Truck is still in great condition, very quick even fully loaded. Pump still engages but may need a once over as an occasional rattling can be heard, possibly impeller? All valves are in service and working as they should. No loose equipment is included with this sale, deck gun and all hose have been removed. Electrical lines pre-run for the powering the scene lighting and electrical reel, just need a generator! There are also some dept. markings from the previous owners, they have been blurred or covered in the photos for their privacy. 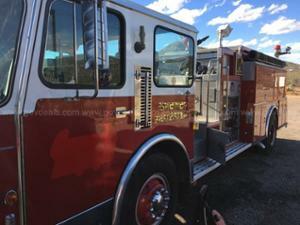 Included in sale; Federal Q, Electrical Reel, Code equipment if purchased by a Fire agency. 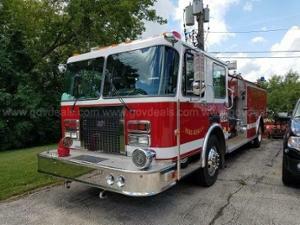 Description:Used 1992 Pierce Dash Pumper for sale - Call with 30,438 miles. 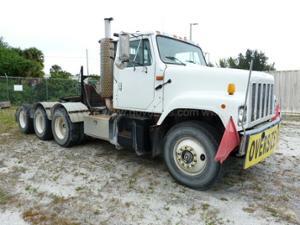 Online Auction for Government Surplus - QAL #12897-1 Ends 4/25/19 1992 Pierce Dash two door cab. Vehicle starts and runs Detroit diesel engine with an automatic transmission. Onboard generator Waterous 1,500 gallon per minute pump, 1,000 gallon water tank, Holds about 1,800 feet of 5” supply hose, about 600 feet of 1.75”, 2.5” & 3” hose. 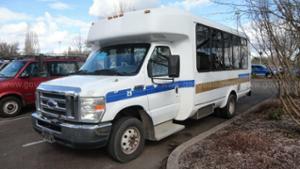 Description:Used 2012 Blue Bird 33 Passenger Bus for sale - Call with 201,874 miles. 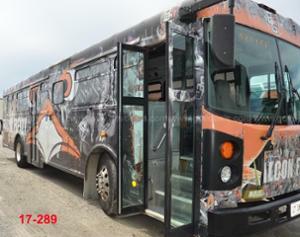 Online Auction for Government Surplus – QAL # 4821-5725 - Ends 4/25/19 2012 BlueBird Bus. 33 passenger bus. Diesel 6.7L Engine. AS-IS Condition. GovDeals.com is the online auction platform where you can bid on and buy government surplus. 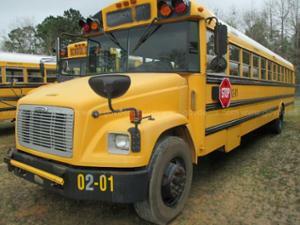 Description:Used 2000 Chevrolet 71 Passenger for sale - Call with 210,000 miles. Online Auction for Government Surplus – QAL # 12740-5 - Ends 4/29/19 **PRICE REFLECTS CURRENT HIGH BID AND IS SUBJECT TO CHANGE AT ANY TIME DURING THE ONGOING AUCTION** 2000 Chevy - 3126 Cat Engine, 210,000 miles, New Master Cylinder, Good Tires, 71 passenger GovDeals.com is the online auction platform where you can bid on and buy government surplus. 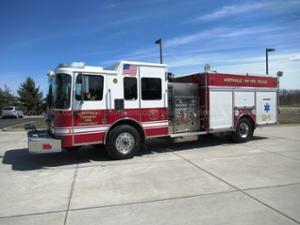 Description:Used 1992 Spartan Gladitor Pumper for sale - Call with 75,581 miles. 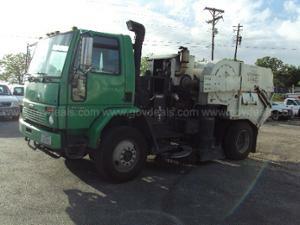 Online Auction for Government Surplus - QAL #12504-2 Ends 4/30/19 1992 Spartan Gladiator PE-1536 tilt cab, seats 4. Truck and equipment are in good working condition with no known issues at this time. Truck has been reserve engine for the last 12 years and has been out of service for the last 6 months. All city identification decals will be removed. All lighting will remain in tact and functional. Truck chassis has 75581 miles and 8746 hours. Cummins C 8.3 and Allison automatic. Hale 1500 G.P.M single stage pump with 447 hours. Steel 750 gallon tank. Two 2 1/2" discharges on left side. One 2 1/2" and one 4" discharge on right side. Two 2 1/2" discharges at rear. Two 1 3/4" cross lays. Piped deck gun. 5" front suction. One 2 1/2" aux suction on both left and right side. Booster reel on top left. 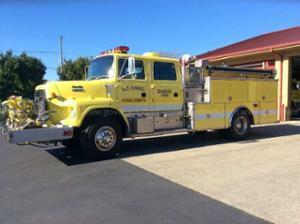 Description:Used 2000 Pierce Model Tilt Cab Pumper for sale - Call with 150,315 miles. 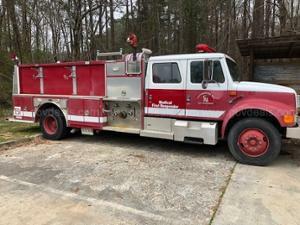 Online Auction for Government Surplus - QAL #2121-3860 Ends 5/3/19 2000 Pierce Model Tilt Cab FIRE TRUCK, 12.7L L6 DIESEL. FAIR CONDITION- THIS WAS A RESERVE UNIT AND WAS ALSO USED FOR TRAINING. 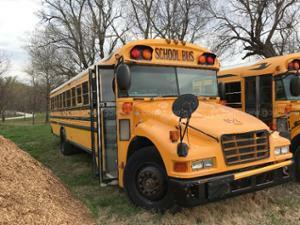 Description:Used 2005 Blue Bird Vision for sale - Call with 153,270 miles. 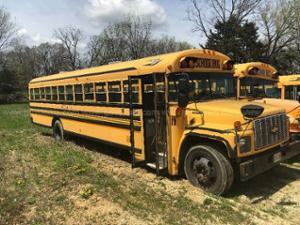 Online Auction for Government Surplus – QAL #5928-161 - Ends 5/3/19 **PRICE REFLECTS CURRENT HIGH BID AND IS SUBJECT TO CHANGE AT ANY TIME DURING THE ONGOING AUCTION** Online Auction for Government Surplus - Auction Ends 5/3/19 2005 Blue Bird Vision BUS, 7.2L L6 DIESEL GovDeals.com is the online auction platform where you can bid on and buy government surplus.